Thanks to the generous support from donors associated with Friends of the Arts, the 3DU is pleased to announce the addition of a fully functional Clay 3D Printer! 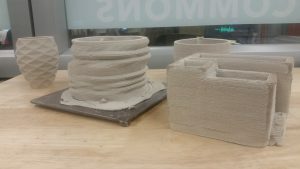 The printer, created by 3D Potter, allows students to print clay creations that can be glazed and fired with the help of the School of Art and Design. Currently this printer is being used by students in Professor Heather Mae Erickson’s Ceramics classes to create unique clay works of art. Students attend a training session in the 3DU, and then create their designs using Autodesk Sketchup. Prints take anywhere from 15 minutes to 2 hours, at which clients take them to the kiln for firing. Completed designs can be seen in the School of Art and Design and in the Technology Commons. For more information on the clay 3D Printer or to request to use it, please email us at 3du.wcu.edu! This fall, the students of Amanda Storm’s Biology 493 class got a firsthand look at some unique molecules with the help of 3D Printing. 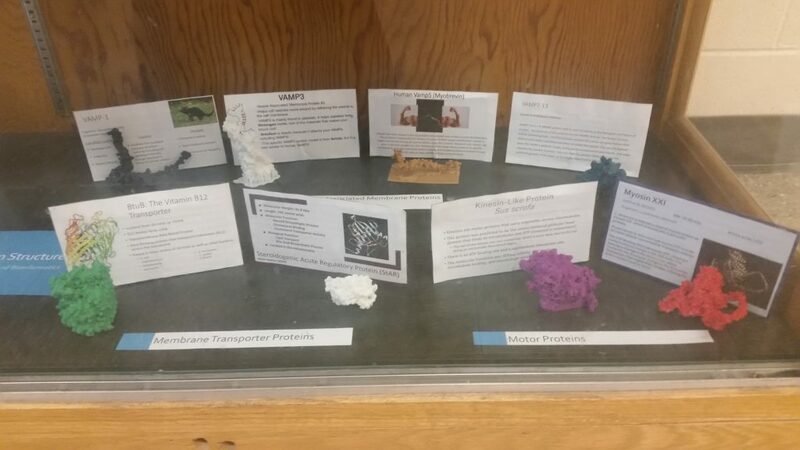 For a class project students had the opportunity to learn about protein structures by manipulating 3D models of the proteins. 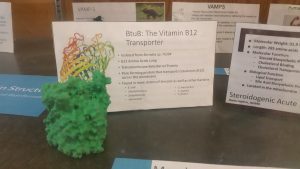 Using specialized software, students created and submitted a 3D model of the protein to the 3DU, where the technicians printed their models using plastic 3D Printers. 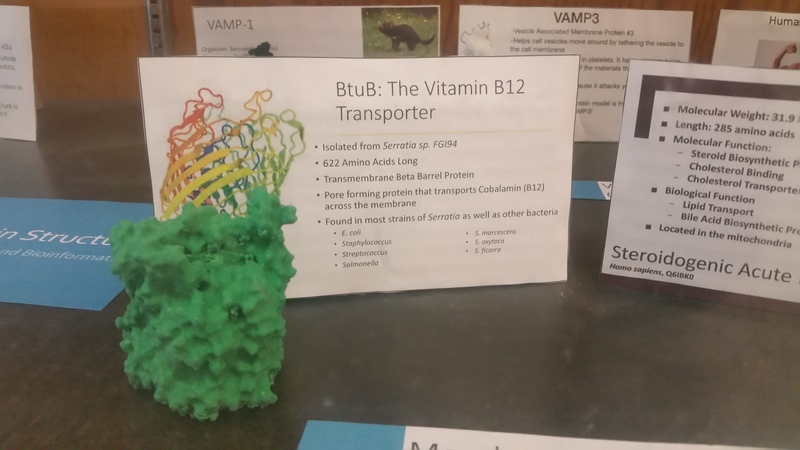 The end result was a physical model of their protein that they got to submit with their class project. The current designs can be seen on display in the Natural Science building. For information on how your class can use 3D printing, or if you would like to print a Protein structure, email us at 3du.wcu.edu. 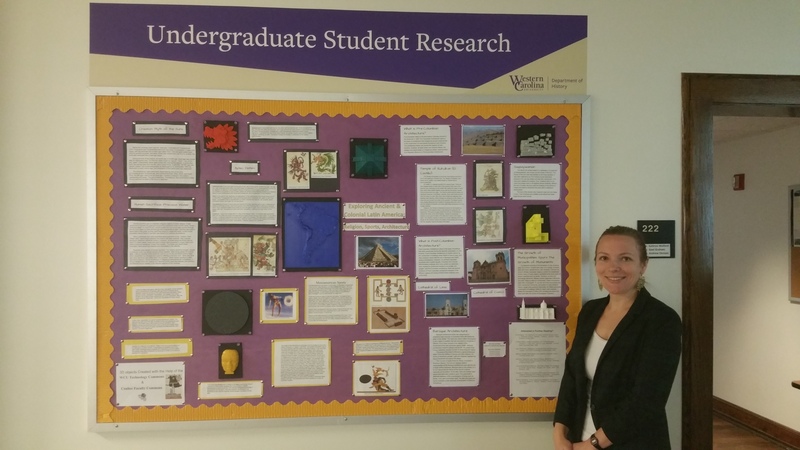 One of Western Carolina University’s newest History professors is allowing her students to experience the ruins of Machu Pichu without even leaving the classroom. Dr. Lily Balloffet, assistant professor in the department of History, has partnered with the Coulter Faculty Commons and the 3DU to create unique 3D Models for her classroom. 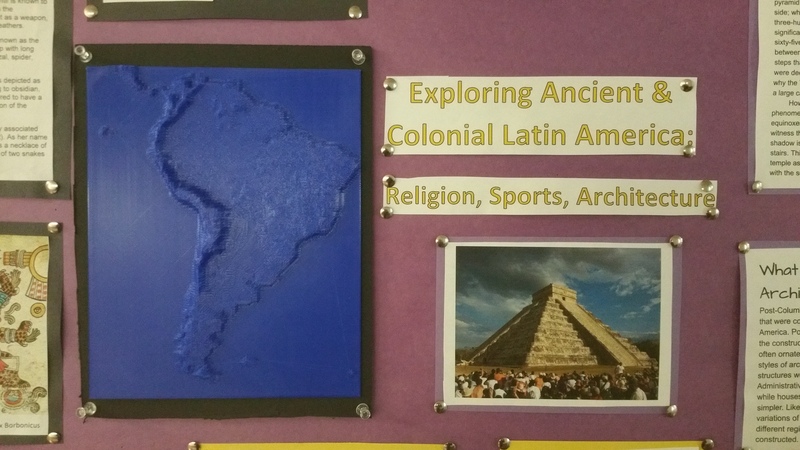 Students in Dr. Balloffet’s Ancient and Colonial Latin America History Class have been able to experience hands on the ruins of Macchu, the topography of South America, and even a Mayan Calendar, among others, through the help of 3D models. 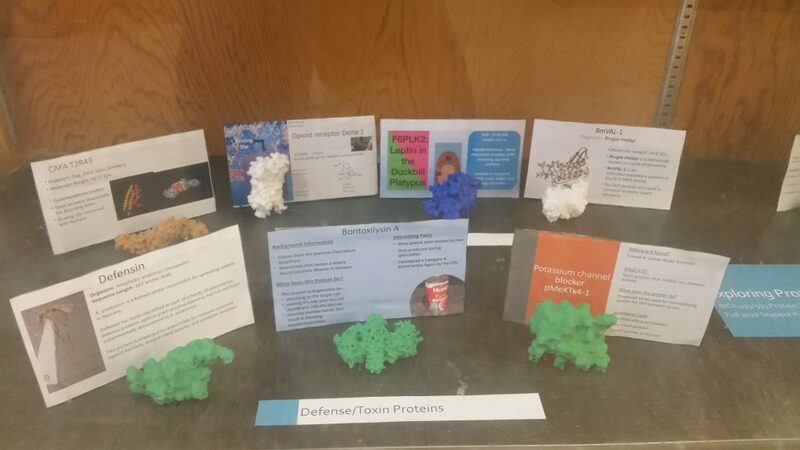 Ballofet partnered with the 3DU to print a variety of models that she has used in her class to enhance instruction. As a special honors contract for her students, Ballofet partnered with Jonathan Wade from the Coulter Faculty Commons (CFC) to create a unique Latin American Cultural Exhibit. The CFC helped Dr. Ballofet obtain a grant to allow her honors students to create an interactive 3D Exhibit in the hall of McKee. Elizabeth Ianuzzi, Brookly Parham, and Greyson Rowlands selected open source models 3D Models of famous Latin American artifacts and created a 3D Billboard detailing the history and cultural significance of these objects.